Jot down all of the IMPORTANT life events, birthday, anniversaries, planned vacations, work events and travel, busy family months, holidays, etc. This will give you a clear picture of your year outside of racing and may help you avoid registering for a race when you have a prior commitment. There is OVERLOAD when it comes to finding good comprehensive Racing Calendars. 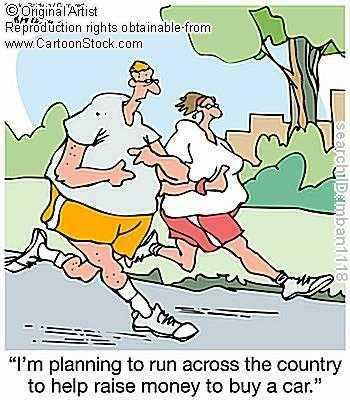 I often use Active.com, Marathonguide.com, HalfMarathons.net, and other local search engines. I also am linked into my local Running store who sponsor many smaller local races. In WA there are races nearly every weekend for about 3/4 of the year, which is exciting and overwhelming. Jot down the races you are interested in. Keep a spreadsheet to record the costs and registration deadlines. There is some strategy to race selection, so plan it out. 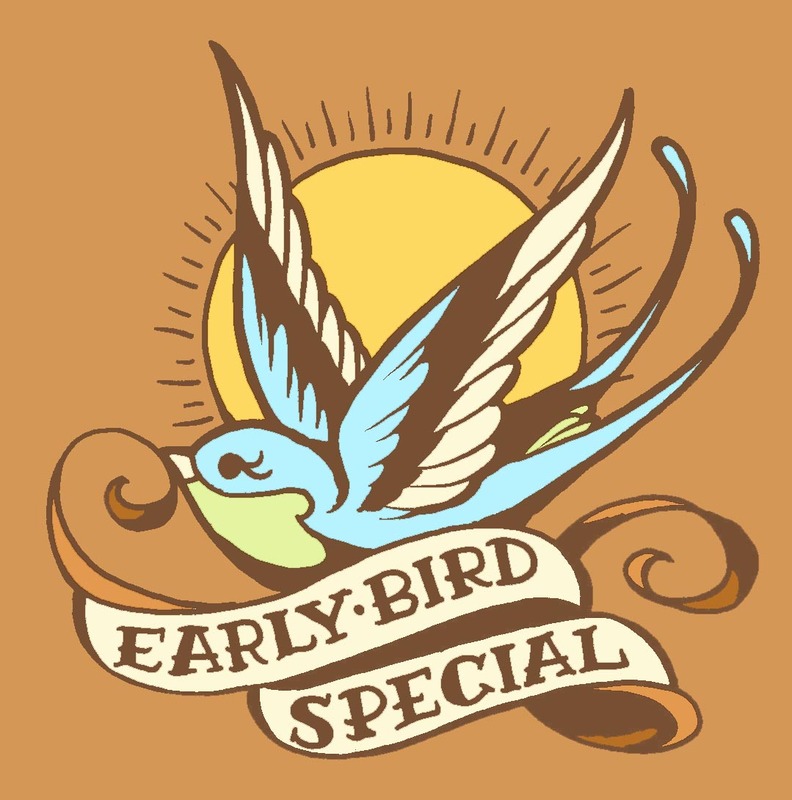 The fees are deeply discounted if you Register Early. This does not mean you need to register for everything for the entire year....be aware of the date that the price will go UP, mark it on your calendar. 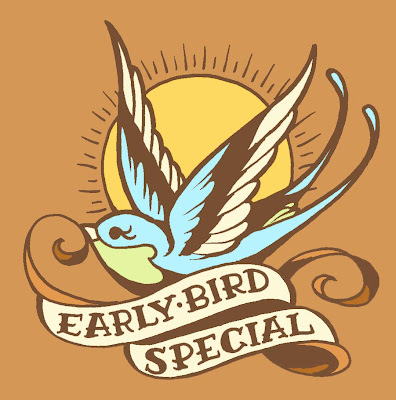 Some races offer team discounts, and other incentives to get registered early. Add a couple races for FUN! Dress up in a costume, turn off your Garmin and takes lots of pictures. Invite friends and family to join in for a Memory Making Adventure. Run like Santa, hit a Haunted Hustle, Trot like a Turkey, Shake your Shamrock, Race against Cupid, cross a Cinco De Mayo finish line, themed races are a BLAST and worth the slightly higher entry fee. Read the small print, there are often contests for best costume or other incentives for joining in the FUN. Some races will allow jogging strollers, or have races for kids. This is a GREAT way to make it a full family event. I LOVE races with Muscle Man!! I was BLESSED to run with my sister for her 1st Half Marathon. Any race can be a family event if you plan ahead. 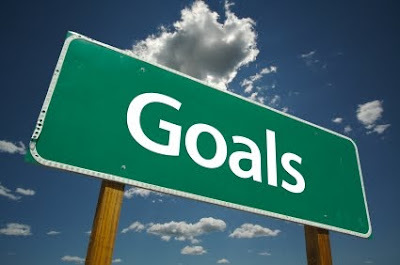 What is your GOAL for 2012? Maybe you have more than 1 GOAL. Become a Half Fanatic or Marathon Maniac, set a new PR in any distance, qualify for Boston, complete your first Tri, 5K, 10K, 1/2 Marathon, Marathon, etc.. Having a GOAL is super exciting. The important thing is to plan your entire calendar around this GOAL(s), with events having a specific purpose to get you to where you want to be. You don't want to sign up for EVERY race and be burnt out before you have reached your GOAL. But adding a race in the middle of a tough training schedule is a great way to stay focused and infuse some excitement into your plan. I need to take my own advice on this one, I am ASHAMED to admit I have not yet volunteered for any racing events. 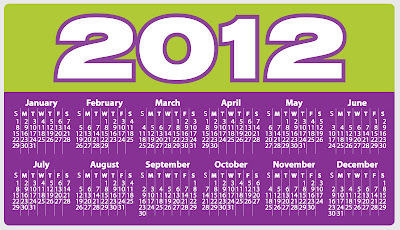 2012 will be a year I will be an athletic supporter ;) Chose a race that benefits your local Running store or club, pick a race where you know some of the people running, and be sure that you bring the SMILE and excitement to the race that you appreciate when you are on the course. Runners are the BEST volunteers, plan it on your calendar. 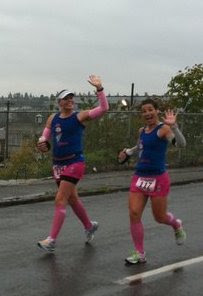 HEHEHE.. OK, I am biased but I would love to have loads of Runners come visit us ladies in the PNW. Add this race to your calendar. 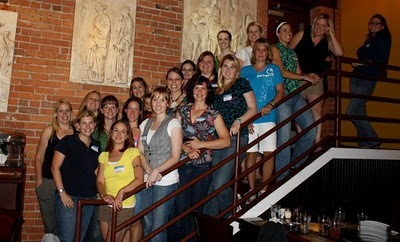 I will most likely host a Bloggy Meet-up the night before the race if there is enough interest. It is NOT an easy course with ROLLING hills, but the medals are great, you can see Mount Rainier and the Space Needle on a clear day and the post race photo-ops are well worth the trip. DONT EVER PAY FULL PRICE FOR A ROCK N ROLL RACE.. you can always find a coupon code online. This may go along with the tip above, Seattle is a great destination. I would recommend that your destination run be a Half Marathon a not longer, but maybe I am just a sucky traveller. 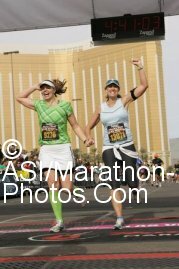 Rock N Roll Vegas Half in the dark, WOWEE!! Wish I could go again this year. Maybe you have a favorite Blogger who lives in another Zipcode, or a race across the pond you have always wanted to do. Possibly it wont fit in the budget next year, but don't count it out, destination races are a FUN way to get to see a new city by the power of your 2 feet. Maybe you are trying for a PR?? I would save a PR for another day, the destination race should be all about FUN! Contact your friend and coordinate your race schedule to MERGE. Teaming up for a race is a BLAST. I have worn matching outfits and raced with a buddy (sister) on more than 1 occasion. Running does not have to be a solo sport. It is an HONOR to have been there to help my friend through a tough patch. Pacing her/him to a PR, that is icing on the cake!! It does not take much to plan an EPIC Meetup.. Many venues have free private rooms, invite folks, get a big group together, and take over that room. Name tags, ice breakers, and good food make for a related evening. Look ahead and get the chatter going early, that way everyone will be on the same page. If it goes well? Make it an Annual event. Great advice. 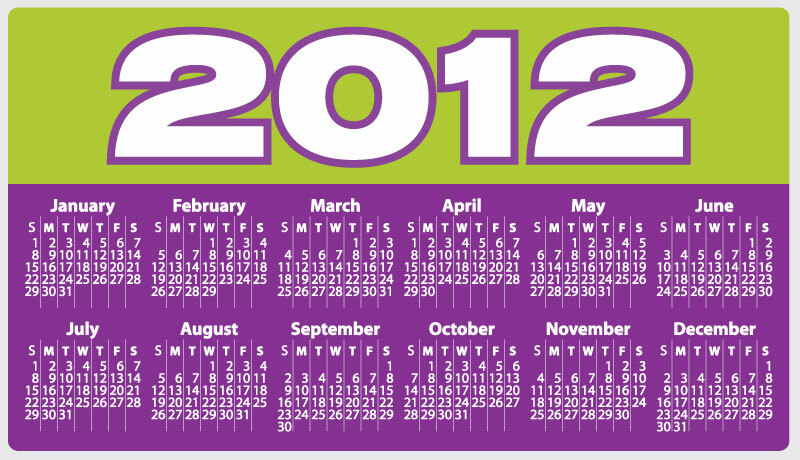 I love how you are already planning 2012. I'm going to pencil in RnR Seattle right now! I am volunteering for the first time this weekend at Ironman Wisconsin. I think I am more excited than if I were racing! I'm still really new to running so this post really helped me out as my first race will be happening in 2012 and I want to run more than one. Thank you for all the great advice! I love that you mentioned volunteering. Until last year I had only ever ran. I volunteered several times last year for small races up to my town's big marathon. Races are a LOT of work and planning them gets done with the help of volunteers most of the time. I witnessed that first hand and it really opened my eyes as a runner! Anyway, thanks for sharing all of these tips! I volunteered for a local race in May, it was an awesome experience! Great advice to add volunteer to my schedule...will do! Oh, and glad to know I'm not the only crazy out there planning my 2012 race schedule! I'm running the Seattle Half in November .... it said rolling hills ...are we talking killer hillers? Just curious! First time in Seattle, excited! First time in 9 years my husband and I have gotten away for the weekend -- double excited!! Portland is like Seattle in that there is ALWAYS a race if you want to run one. It's great because I try to run new ones each year instead of repeating the same races over and over (except of course the ones that I love to run over and over and over!). I am volunteering for the Portland Marathon this year at mile 21. I'm sooooo excited! I think it's going to be really fun! As you know, I fully intend to follow your Seattle advice!!!!!! Email me if you find a code better than $13. Ever thought of doing a race longer than 26.2?! What an amazing post!! I actually read it twice, it was so great. Thanks for all the wonderful advice! Great Advice!! I really want to volunteer for a race this year too! Its hard, because I always get excited & want to race everything, but I definitely want to give back this year. Stephanie Anne ... this year I had my cake and ate it too! I volunteered to do the race package pickup on Friday and Saturday, then raced on Sunday, worked great!